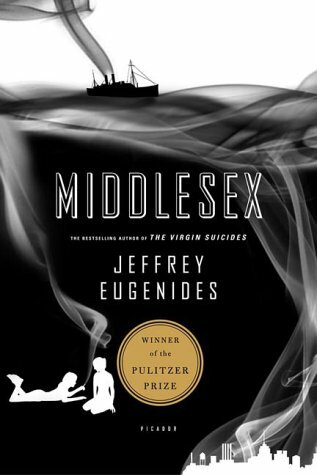 Well, just a few minutes ago, I finished “Middlesex” by Jeffrey Eugenides. I thought the book overall was excellent, but it was far too long. It never seemed to end and the author just kept on writing these opus like chapters or “Books” into 529 pages. I often found myself scattered in figuring out what to write about that it almost had change the way I write my reviews for my blog. Would I recommend it to others? Absolutely. This book is definitely for someone who can appreciate history for it was and is, the passing of time for multiple generations. This book teaches you about family, it teaches you about mistakes families make that later while misunderstood is a blessing. It teaches you about the love of parents and children. It teaches you about tradition. I enjoyed the history the most, that was my favorite and understanding the suffering that parents, grandparents and great-grandparents may have endured. I hope you all enjoyed following along with “Middlesex” in a few minutes I will be introducing a new book! Until later!